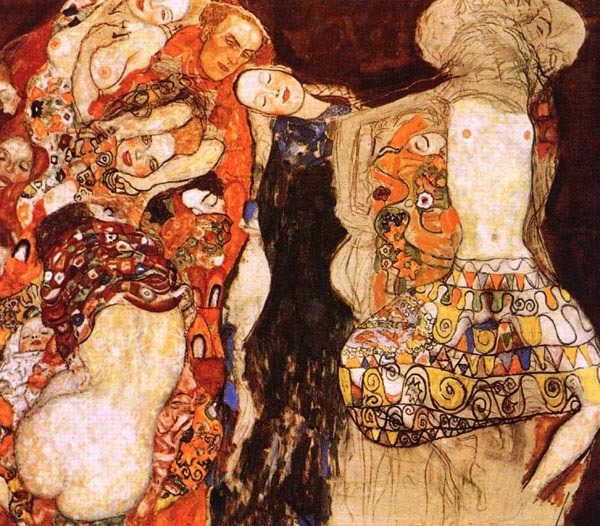 Gustave Klimt has made a resurgence in the media as of late – the world is celebrating his 150th birthday. I like this article about him…’smelled like an animal!’ Oooo. If you didn’t see this on www.flavorwire.com, I’m helping you expand your horizons. A few little tidbits about him I didn’t know and maybe you didn’t know either. Written by by Marina Galperina. Gustave Klimt. The Bride, 1917-1918. What is so charming about this production has to do with its living room charm. The actors are flawless and powerful. One forgets where you are while totally engaged in the stellar performances in this familiar endearing story. The audience is patient even when a resident mistakenly wanders in unexpectedly from the supposedly blocked elevator. During the hour and a half show with no intermission, the audience is treated to a comfy, sufficient set that is made up of one elegantly worn, upholstered chair and a phone stand, Boolie’s office and, the car represented by two stools, one in front of the other. Much of the dialogue centers on the conversation in the car between the irrepressible Daisy Werthan and her driver, Hoke, who drives his aging charge to the Piggly-Wiggly and Mobile, Alabama. You know the story. It’s about aging, friendship, trust, loyalty and love. The three actors in this production are excellent. They exude well worn theatre legs, years of professional polish and the pure joy they have in delivering a performance as good as any you’ll ever see. Dwayne Carrington – Hoke Coleburn. His credits include award winning performances in the Full Monty, It Ain’t Nothin’ But the Blues, Ragtime, etc. San Gregory – Boolie Werthan, Miss Daisy’s son. Gregory’s a familiar face in Denver where he’s appeared in 36 productions at the Denver Center Theatre Company, as well film & TV credits. Billie McBride – Miss Daisy. McBride returns to The Barth after last year’s performance in Chasing Manet. Her Broadway credits include Torch Song Trilogy as well as numerous touring shows, Off Broadway productions, television and the Denver Center Theatre Company. McBride was nominated for an Emmy and numerous awards throughout her career. Equally endearing for this night, the audience was introduced to Billy Beach, one of the residents at The Barth Hotel, who gave a brief hello to the guests. Billy thanked us for our support and told us how much he loves living in The Barth Hotel. He explained his gratitude to the staff who helped him button his shirt and put on his shoes after his recent operation. The Barth Hotel is the home to 62 low-income, elderly and disabled residents who receive quality care from a dedicated and concerned staff. The Barth Hotel is a fine example of people helping people. 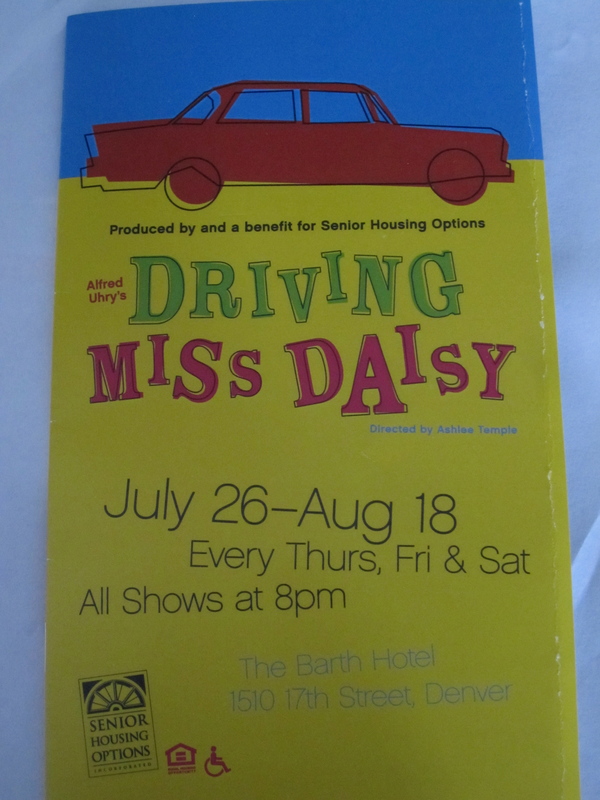 Driving Miss Daisy is a benefit for Senior Housing Options in Denver’s LoDo. 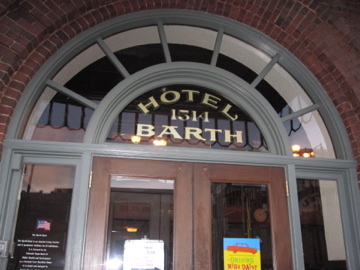 Top photo: entrance to The Barth Hotel. 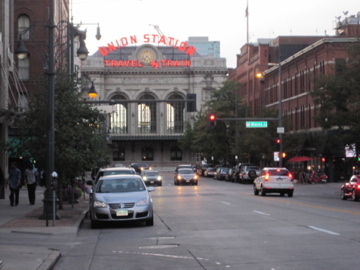 Union Station, standing in front of The Barth Hotel entrance looking East at the station which brought travelers to the Queen City of the Plains. 411 on the “Jersey Boys,” at the Buell, through August 11, 2012. It’s fun, in a sing-along fashion that makes you happy. The Four Seasons‘s story is not all glitter and glory but a rags to riches music adventure about great talent and friendship. Be a part of this joyful musical. It brings back a whole lot of memories and tunes you’ll love. 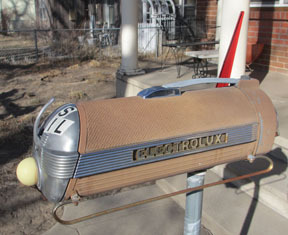 Above: Green Gamma Daedalus Right: Deluxe mailbox. Jimmy Descant is known as the Rocketman. He was first seen in Denver at the Cherry Creek Arts Festival, 2004-2008. Now, I’m wondering if he wasn’t the catalyst for this trend in upcycling art and retail. Unconsciously, I was looking for Descant’s work this year. I remember staring in amazement at his rockets and wall art in the past. He was not there this year but, everyone else was, and they all wanted to be him. An innocent walk from Dazbog’s coffee on 17th Avenue, stopped me in my tracks. A new gallery, Leon. It was a former portrait studio. Wow, look at this art, I told my friend. The opening was early July. Alas, this show leaves on the 31st. Make the time and effort to see this show. Children will love it too. It is whimsical, brilliant, colorful, vintage assemblages that are amazing. Jimmy Descant is a New Orleans refugee living in Salida, Colorado today. He bills himself as a severe re-constructivitist. Rocketships are his specialty. Project Angel Heart is excited to announce the eleventh annual Art for Life event on Friday, August 24, 2012, to be held at the Abend Gallery in Denver. Join 500+ community leaders and art lovers for an evening of hors d’oeuvres, cocktails, wine, desserts, good company, and fine art. Guests will have an opportunity to view and bid on the works of more than 80 local and internationally recognized artists who have donated work in support of Project Angel Heart. Once again, we are proud to partner with the Denver School of the Arts and Art Students League of Denver to highlight emerging artists. FREE PARKING. Abend Gallery, 2260 E. Colfax, corner of Colfax and York. Left to right: artist, Jean Shom, Robert Spooner, Dean McCready, Cheryl St. John. A.E. Barnes, Susan Behrendt, Tim Brown, Judith Babcock. Mountain Mantra….. FESTivals…. til the end of summer…. 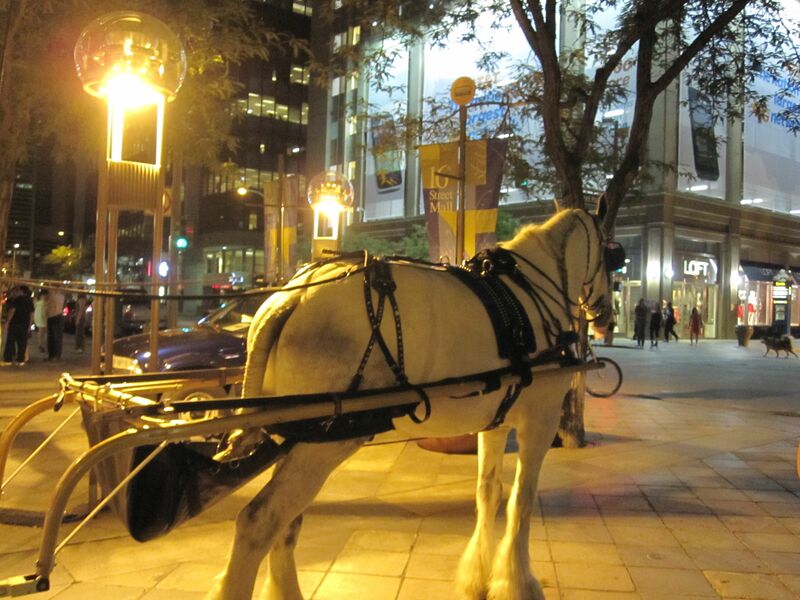 Planning a weekend out of the city? Colorado provides an astonishing array of fun festivals highlighting art, wine, golf, biking and vacation deals for fabulous getaways and of course cooler weather in the high country. Don’t forget your bikes, helmets, parkas, picnic baskets and blankets. Celebrate wine, craft beer and gourmet cuisine while soaking in the warm mountain sunshine at this feel-good festival, featuring events like the new “Farm-to-Barn Wine Dinner,” plus tastings, cooking demos, seminars and the signature “Stroll of Steamboat Grand Tasting.” Click here for more info. Shop for art along the charming mountain town’s quaint Elk Avenue, a National Historic District, enjoy the farm-to-table food event on Saturday, and be sure to swing by the beer and wine pavilion for tasty sips and live music. Click here for more info. This high-style event invites golfers to tee off for a good cause, with proceeds benefiting the Adaptive Sports Center. You won’t want to miss the auction at the western-style gala; in the past, enviable items like an African safari and trip to Nepal have been up for the bidding. Click here for more info. 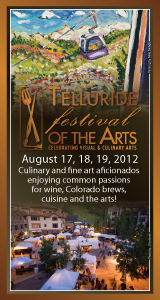 Drawing discriminating art shoppers to the breathtaking heights of Telluride Mountain Village, this classy affair delivers a colorful variety of art, fun foodie events and the best in local food and drink. Click here for more info. Cherry Creek North’s 4th Annual Food & Wine event, is taking place Saturday, AUGUST 11 on Fillmore Plaza. This year, 23 Cherry Creek North food & beverage establishments are participating. The event is expected to sell out in advance. It’s getting hot in Denver. I try not to whine, after all, I spent two summers in Florida, where the billowing heat of the asphalt wafted up my nostrils and burned my dainty nose hairs. Crested Butte is pretty cool, and it really should be cool in August. Check this out. See you there. The Crested Butte Arts Festival, celebrating the visual, performing and culinary arts at 8,885 feet, takes place this year from August 3-5 along Historic Elk Avenue. Featuring 175 of the nation’s finest visual artists, the CBAF must be experienced to be believed. To celebrate its 40th anniversary, the festival will host a special “Friday Night Under the Lights” opening event from 5-9 pm. There is truly something for everyone, including the Ragged Mountain Entertainment stage, Oskar Blues and Cupcake Vineyards’ Beer & Wine Pavilion, Art Alley for kids, Viking Culinary Demonstration Tent and artist demonstrations throughout the weekend. Add to that a day of biking with local legends Dave Wiens and Doug Bradbury, handcrafted cocktails from Colorado’s hottest distilleries and a special Farm To Table dinner in Mt. Crested Butte and you’ve got the perfect recipe for an unforgettable summer weekend in Crested Butte! 1-800-412-7310. 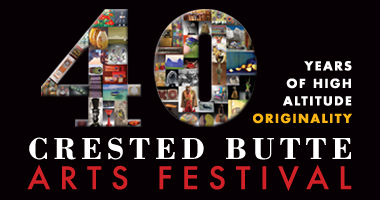 To learn more about the arts festival, visit crestedbutteartsfestival.com. Art collector, Herbert Vogel dies. This is a sad day for contemporary artists. Herbert Vogel, 1922-2012, has left the gallery for good. Herbert & Dorothy Vogel were unsurpassed lovers of art. From the 1960’s, this dynamic duo opened their hearts and pocketbooks to purchase little known artist’s work, such as Chuck Close and Ty Twombly, Donald Judd, Edward Ruscha, Julian Schnabel, John Baldessari and Jeff Koons. They became revered in the art world, but remained an unlikely, nondescript couple who made an invaluable contribution to art and, to the American people. Often paying for art on the payment plan Herbert and Dorothy Vogel created an unsurpassed collection that is now on view for every one to enjoy. Their story is incredible. They were true American heroes. Photo, Cecil Lockard. Herbert & Dorothy Vogel at the University of Michigan in 1978, from “Herb & Dorothy,” Arthouse Films, 2009.
complete propectus and entry form.